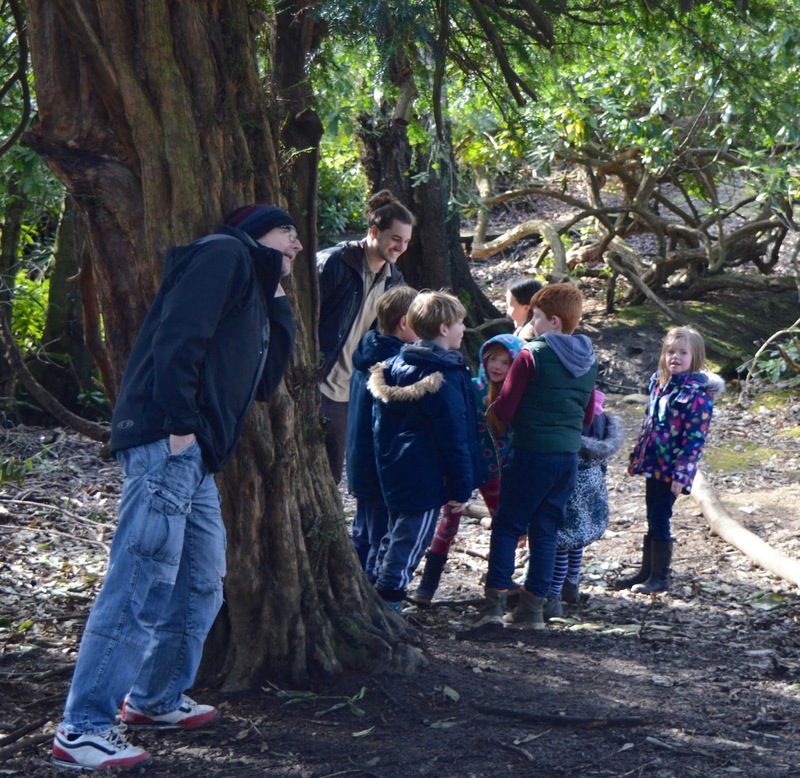 Beamish Wild in County Durham is a place I have heard a lot of good things about but had not visited myself so I was delighted to receive and email and ask if I'd like to organise a group of bloggers to review their new school holiday clubs. We headed along last weekend to put the day through it's paces. 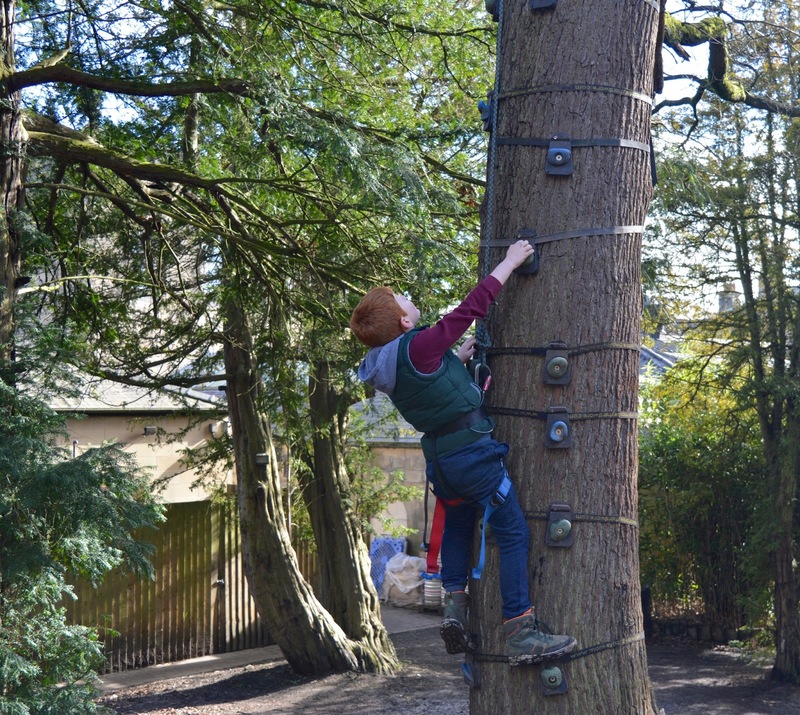 Ordinarily, us parents would leave our children in the capable hands of the staff at Beamish Wild but for the purpose of this review we stayed - who else would take the photos? I have to say though after spending the day with the instructors I feel 100000% confident that my children would be safe and well looked after should I not have been there. 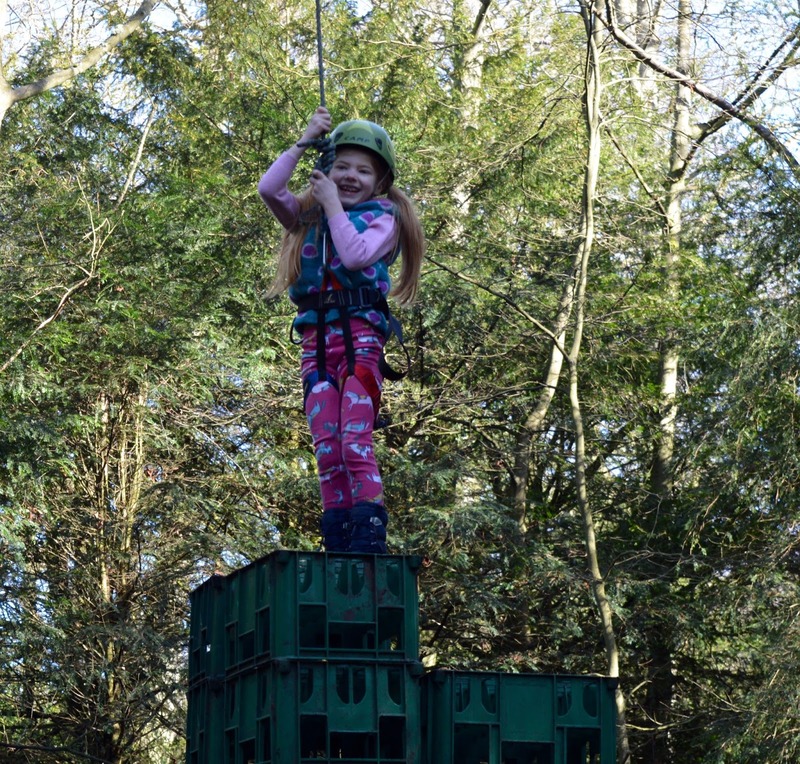 Your child will enjoy a host of activities from den building to fire lighting, high ropes, woodland crafts, archery, treasure hunts and more.......see here for a sample itinerary. Enter 'Blog17' when booking online here and you'll receive an exclusive 10% discount. 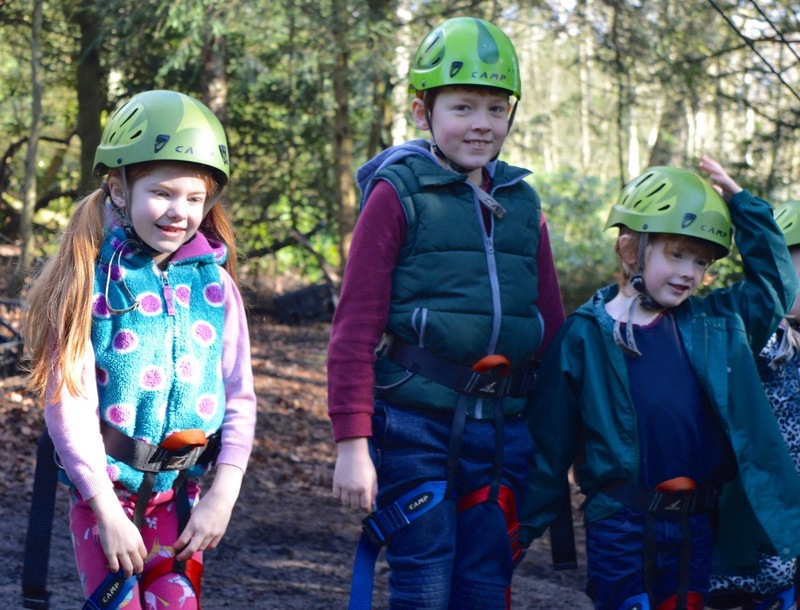 All children are provided with fitted helmets and harnesses which are checked throughout the day and before an activity. 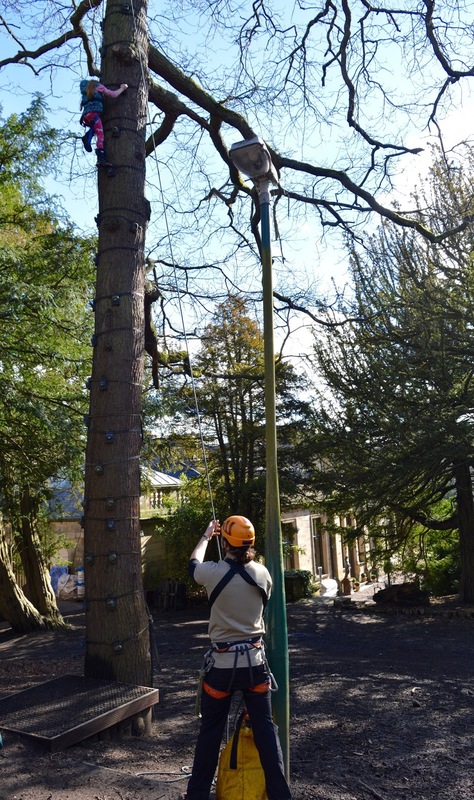 All activities are fully supervised by highly qualified staff. We spent the day with Tom who was just superb. He engaged with the kids right from the start, ensured that everyone had a turn and provided just the right amount of encouragement. He also gained the kids' respect and they actually listened to him when needed. Tom led us through the woods to the crate stacking area. 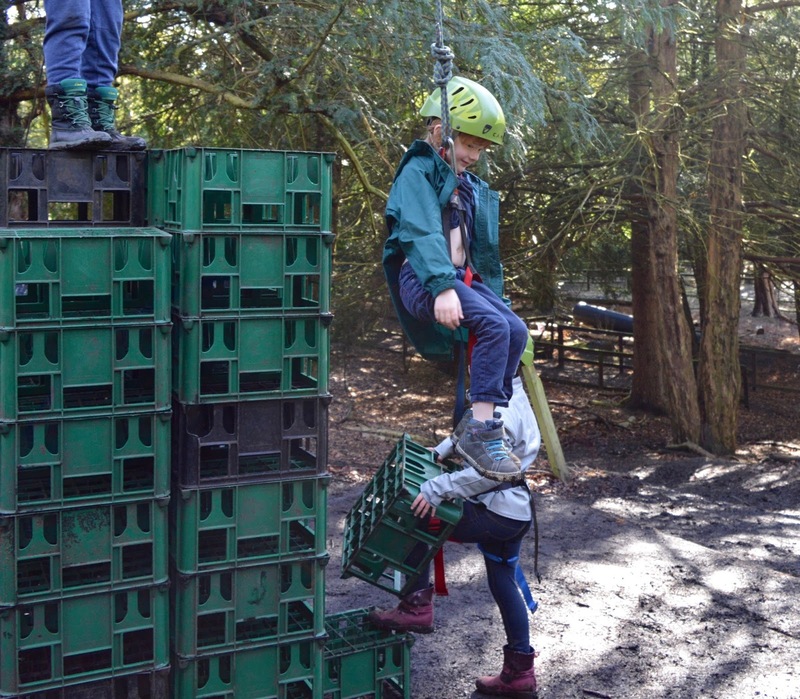 This task is fantastic for developing team work skills and for pushing yourself a little. 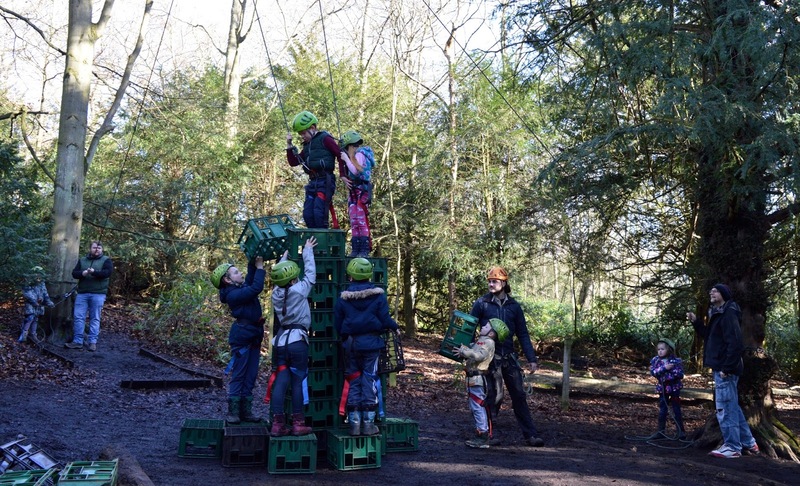 The kids are all attached to a harness and team up to climb to the top of a tower of crates that the others' have built. 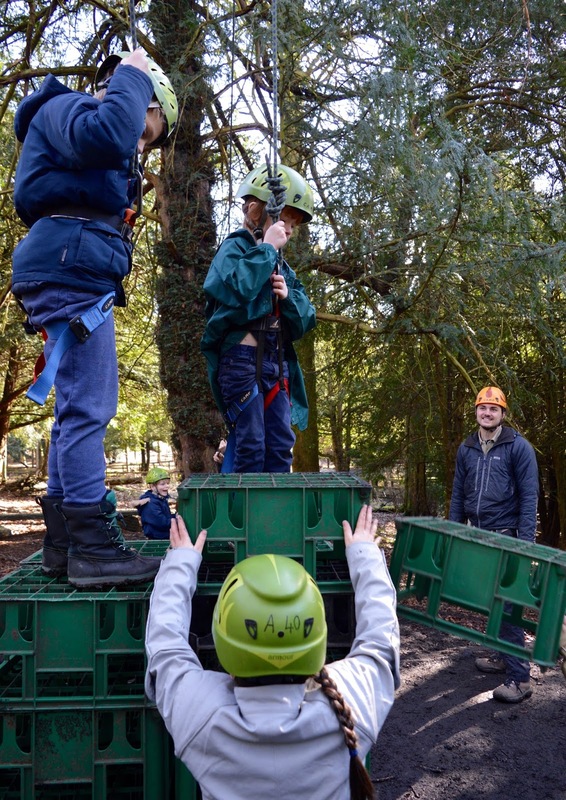 Once the crates were 6-7 high, it did get a little scary but the kids were fab and encouraged each other to take one more step up and use each other for support. It was lovely to see. 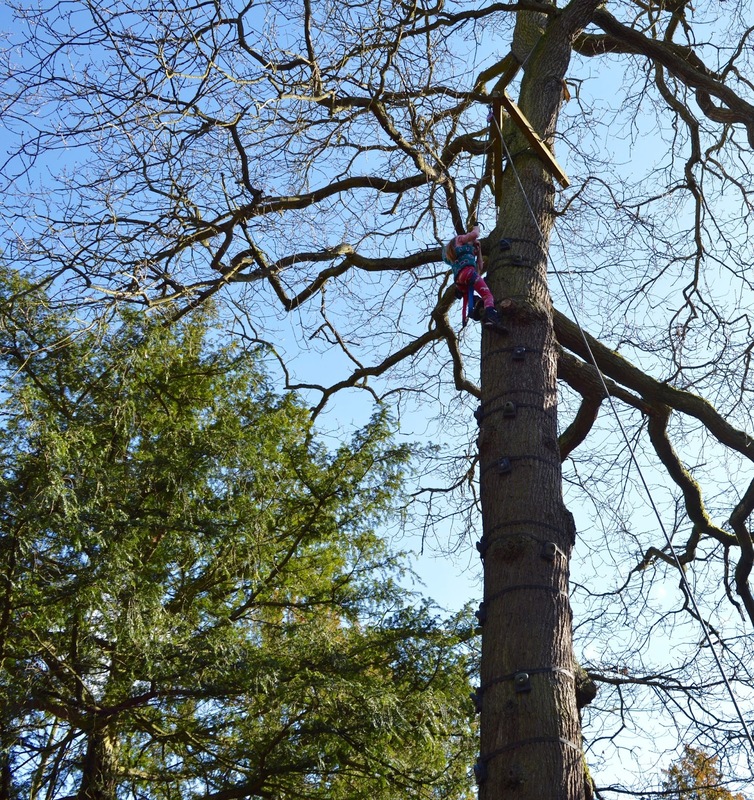 When the kids had climbed as high as they could, Tom helped them jump down in their harness which was great fun. The next challenge was called 'Tree Creeper'. 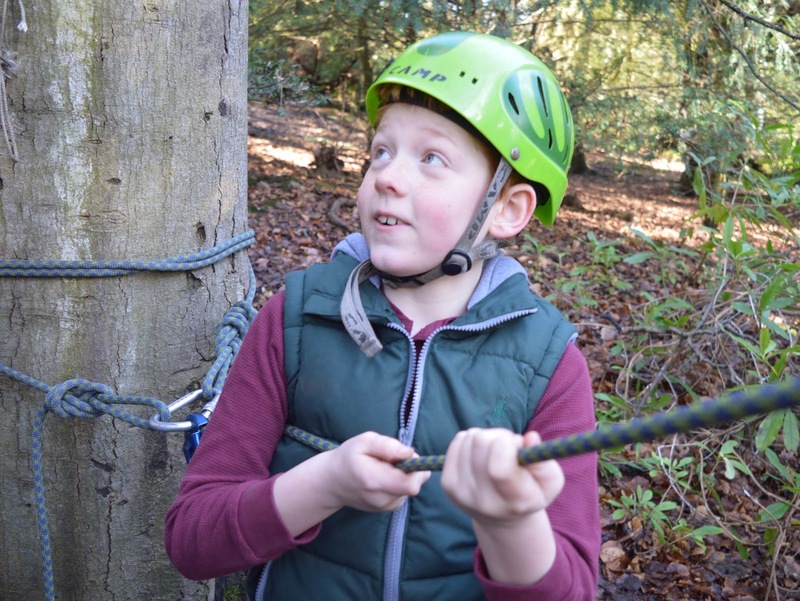 Tom sat all of the children down and explained that they don't all need to get to the top and that they should set their own challenge and have a think in their heads of where they'd like to climb to. I think this is a fab way to involve a group of mixed abilities. If it was me, I'd be happy getting on the second step! haha! 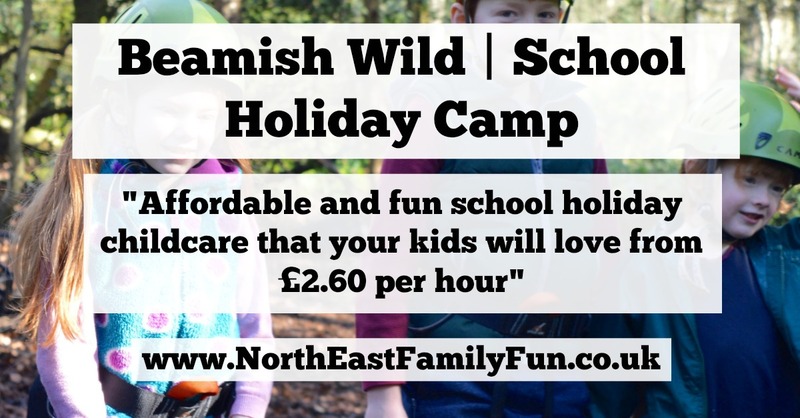 Book your child's place at Beamish Wild Holiday Camp here. Use Blog17 for a 10% discount. You might have noticed in a few of my previous blog posts that Heidi loves climbing trees and true to form she was straight up to the top. She LOVED this and it gave her a real buzz and sense of achievement. Look at her go! Jack isn't so keen on climbing trees and managed a coupled of steps up but this was good - he met his own challenge and you can see from the smile on his face, he still had fun. 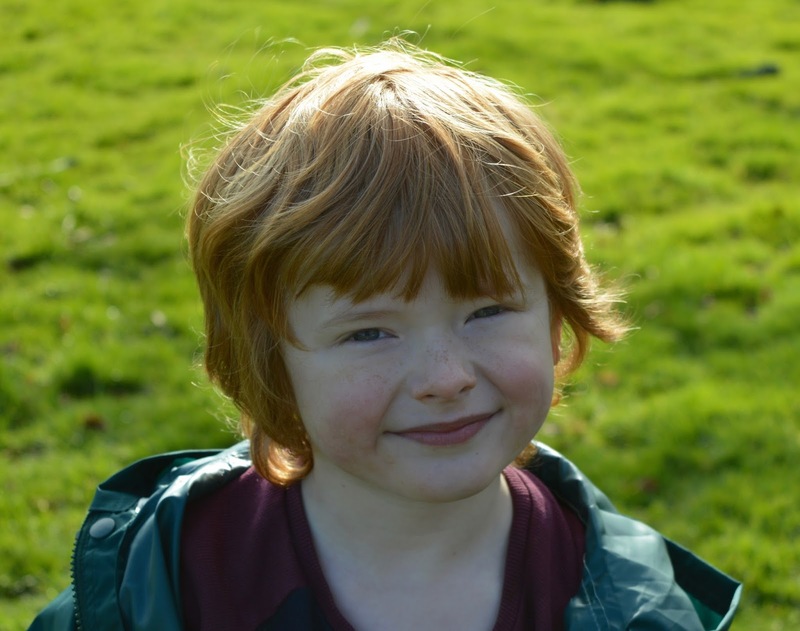 If your children aren't 'outdoorsy' like Jack - they'll definitely still be included and feel like they've achieved something. 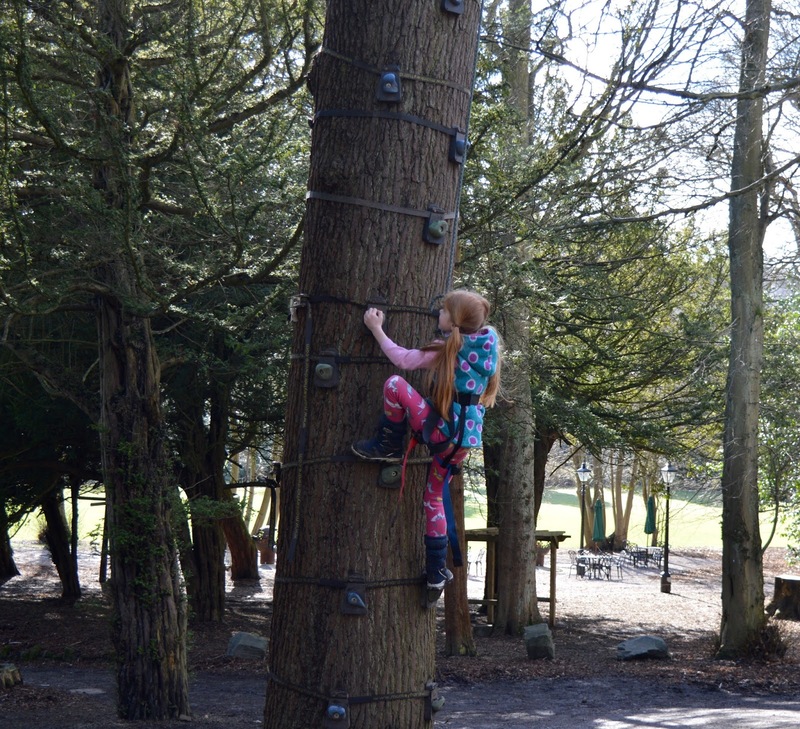 Equally, if your children do love the great outdoors and climbing like Heidi, they'll also have a fantastic time. Now I didn't take too many photos during den building as us grown ups decided to build our own den! 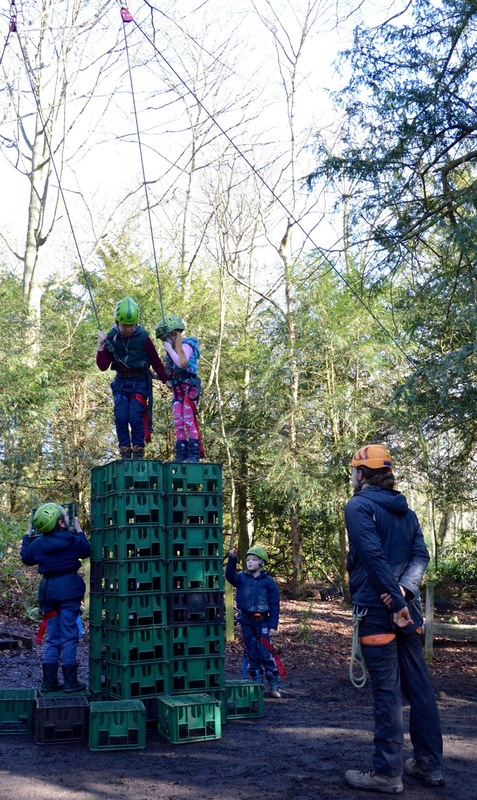 It's safe to say that this is the challenge that most of the children enjoyed the most. 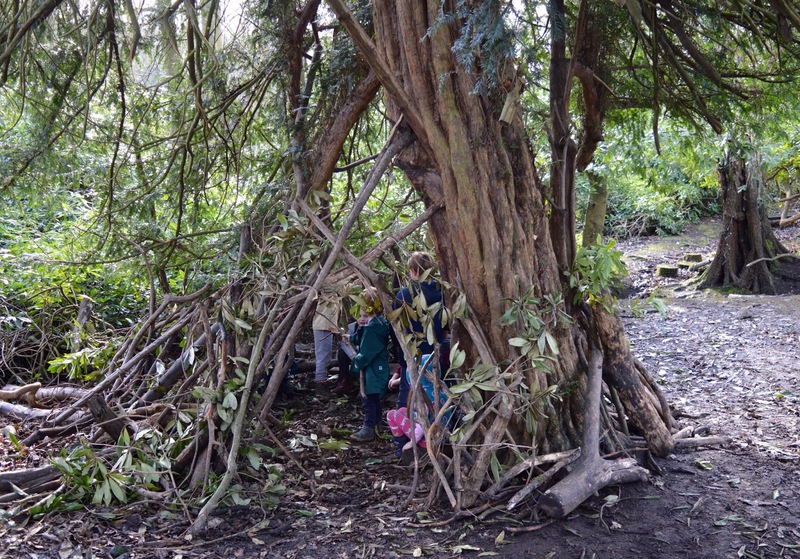 They had 45 minutes to build a den using any of the materials around them. The den must fit all 9 of them inside. It wasn't long before they set to work. After a group huddle to make a plan of course. Now this next photo makes me giggle as the kids look so sad! 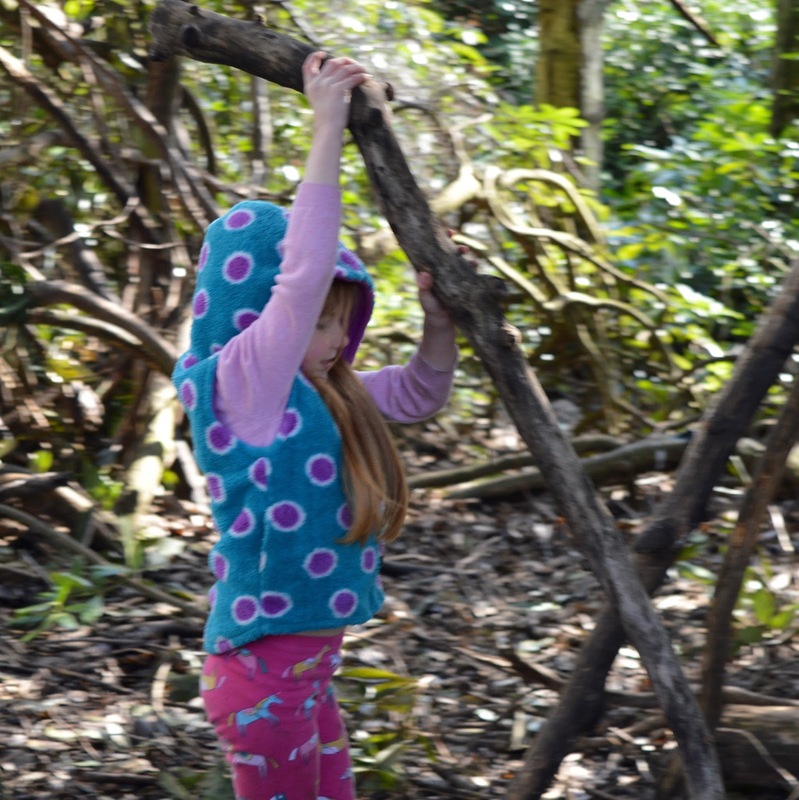 It's because they were sad that den building was over - they wanted to do it all day! They really got into it and used leaves to built a bed, moved logs inside for seating areas and Jack even made a toilet complete with it's very own plunger. There was an angry birds style sling-shot to keep the grown-ups out and you know kids are genuienly super happy when they start chatting with each other (when they'd only just met) and excitedly working together to make plans. 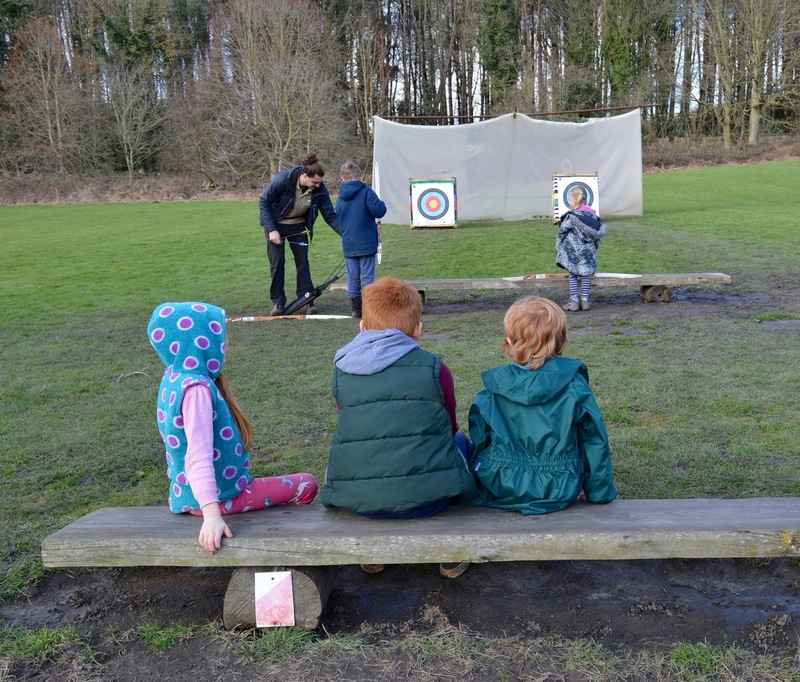 Our last activity for the day was archery and despite this being a more sedate activity was one that all of the kids were really looking forward to. H, H and J have tried archery a few times before and really love it. 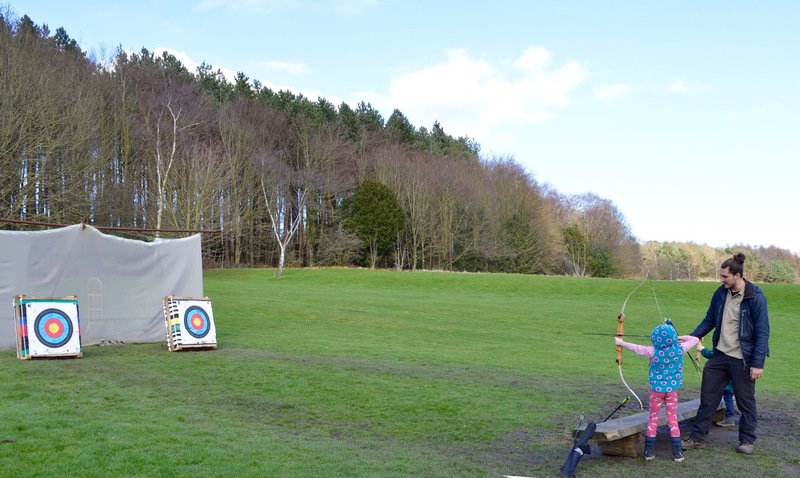 Safety was taken super seriously - you won't find any sharp arrows and Tom stays with them at all times. Tom also made sure that every child hit the target at least once. 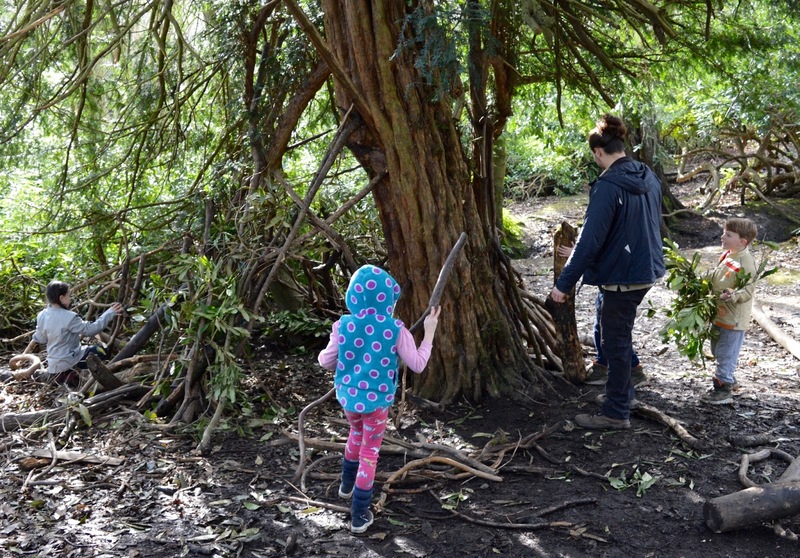 Beamish Wild offers affordable childcare - £54 for 6.5 hours per day across three days works out at £2.77 per hour. Bargain! Beamish Wild is FUN. Technically, I don't *need* holiday child care. As somebody who works from home, I can usually juggle my work around the kids when they're at home. The kids' grandparents who can help if needed. Regardless of this though, I will be booking H, H and J in for another day in the summer holidays. They really had lots of fun and it will do them good to have another day packed with outdoor fun that will stretch and challenge them. 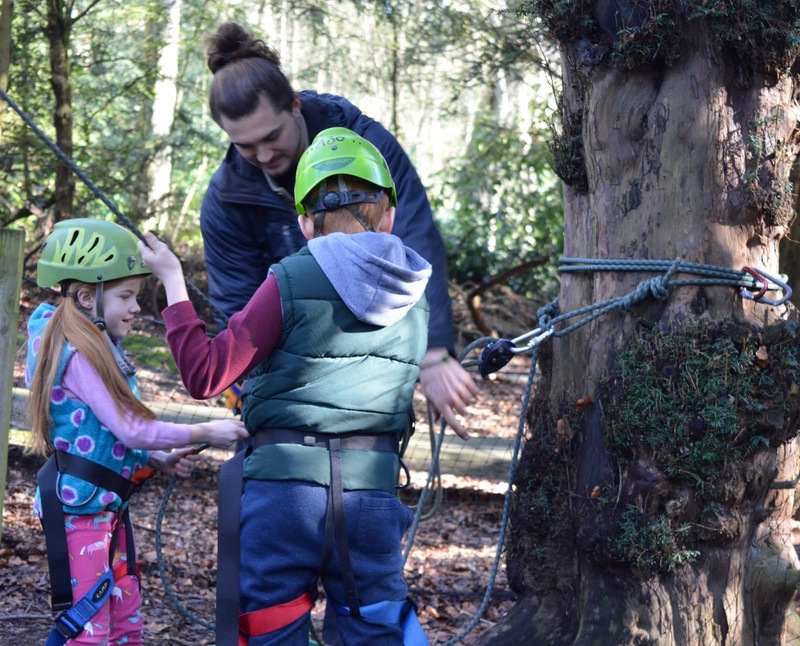 Beamish Wild will boost your child's confidence &self-esteemm, they'll develop new skills and learn about working together as a team. Plus it's a chance for them to make new friends and will keep them away from their computer. The staff and facilities are fantastic. After testing out the facilities myself, I definitely recommend and completely trust the facilities and staff to take care of H, H and J. 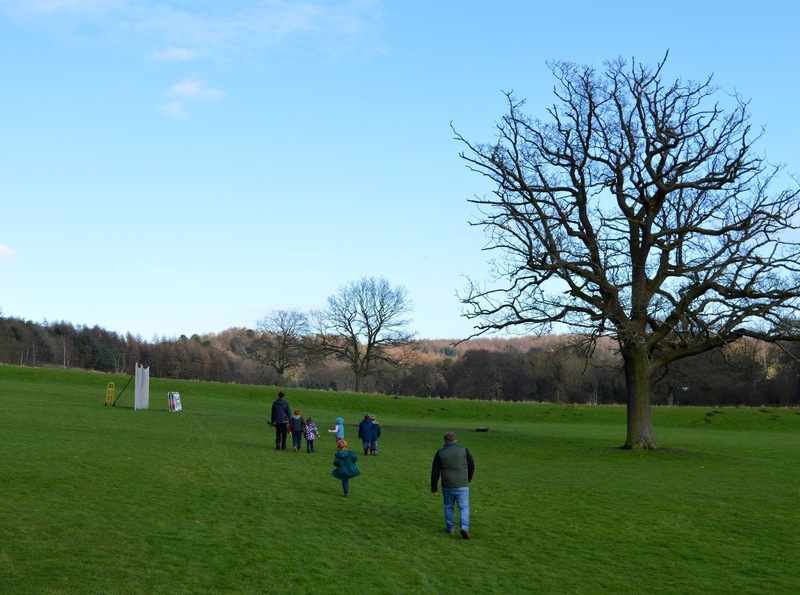 Easy pick up and drop off - Beamish Wild is joined onto Beamish Hall which is not far from the A1. 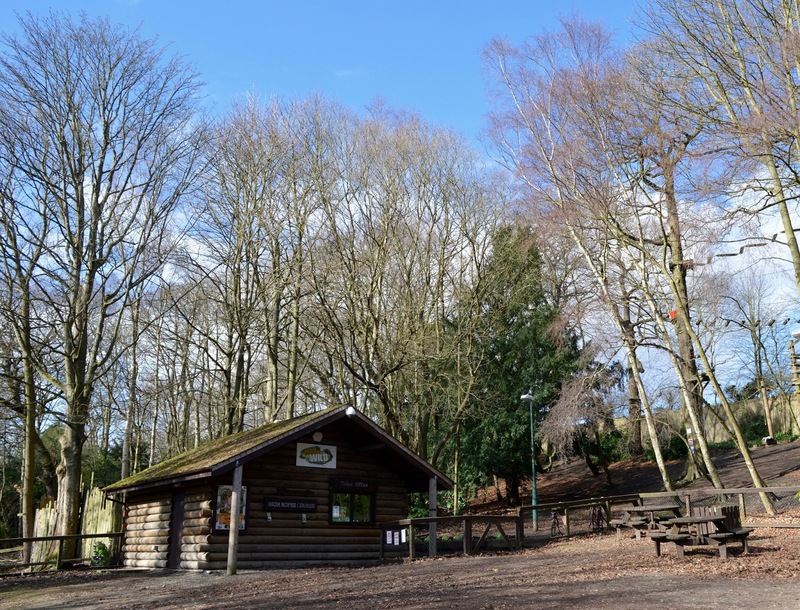 There is ample parking and a fantastic play park joined onto the Stables restaurant - I can see myself enjoying a nice drink in the sunshine and letting the kids play in the park when I pick them up. I have a DISCOUNT CODE! Enter Blog17 for a 10% discount. 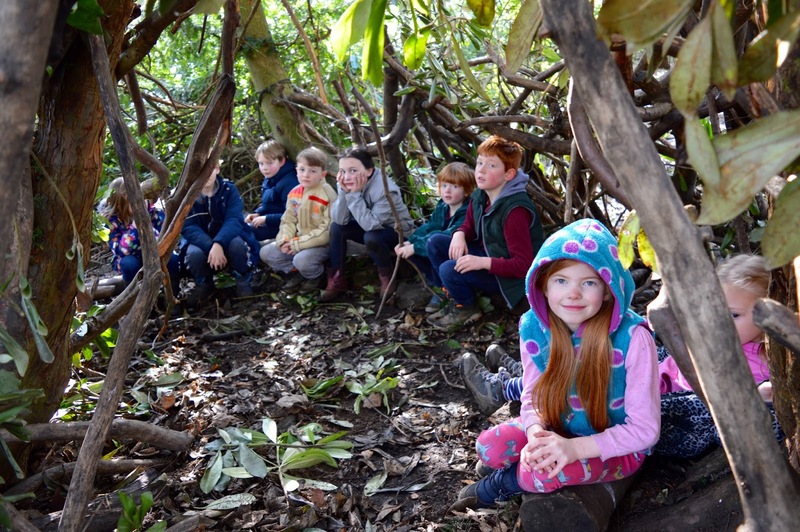 You can book Beamish Wild School Holiday Club online here. I NEVER manage to get a nice photograph of Jack and I think this one may be the first ever! It is living proof that he was happy and relaxed. 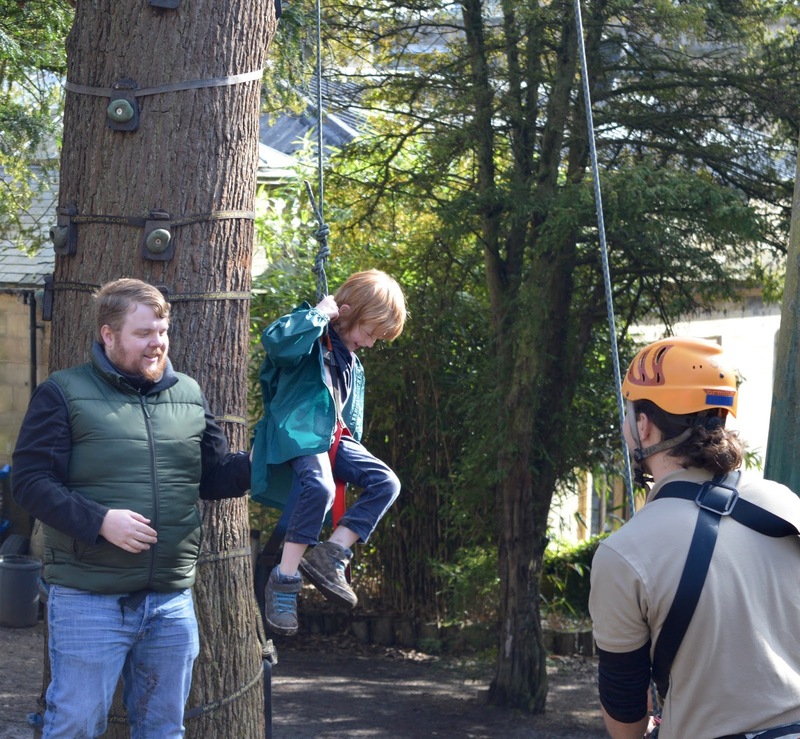 Thanks to Christopher and Ben plus all the staff at Beamish Wild for inviting us along to try out their School Camp - we had lots of fun! But what did the adult den look like?! Oh New Girl in Toon - those pesky kids teamed up against us and ruined our den to steal the logs for their own! Booooo! Such a brilliant idea! I'm going to enquire about taking the brownies in the summer too! I've been saying for months that we need to visit Beamish on one of our family day outings (still yet to go)! But I will make sure we go during the Easter holidays. The school holiday activities look brilliant, so much hands on, shame a little too far for our kids during school holidays.